Our sweet boy filled our life with happiness and joy for 2 1/2 years. He fought congenital heart disease since the day he was born, but filled his short life with love, smiles, and laughs. He touched so many lives and was loved by all. He will be missed more than words can even describe. Diary of Kevin’s first 6 weeks of life in the hospital. Thank you for being my little boy. I thought we would have so much more time than we did, but we made the short time you were here amazing. From the time I found out you would be born with a sick heart I knew I had to love you with my whole self and not hold back. You taught us how to live and the true meaning of life. You defied the odds and did it with a huge grin on your face. I wonder if somehow you knew to live life the way you did. You never held back and lived everyday like it was the very best day of your life. You taught me to treasure the everyday occurrences for the true miracle that they are. It is not about big trips or expensive toys but sitting together on the front step eating a Popsicle. I loved when we would sit on the couch watching Charlotte’s Web and you would fall asleep in my arms as I ran my fingers through your hair. Somehow you knew to love the simple things in life and taught us all to do the same. It is so hard to let you go and say goodbye. I remember telling you when you were two weeks old that if you were tired and had to go it was ok, but if you could, I needed you to fight. And fight you did. You gave us 2 1/2 years of pure joy. Your relationship with your daddy is something that I will treasure forever. Watching you two warmed my heart everyday. You inherited your daddy’s crazy dance moves and weren’t shy about showing them off. I am so grateful that we have so much video of you dancing like a maniac and laughing hysterically the whole time. You touched so many people in your short time here. You were an amazing, resilient, strong and happy little boy. I feel honored to be your mommy and I am so lucky that I had you. I find it very difficult to adequately express what a joy you were to everyone around you. You had a sparkle in those big blue eyes that set you apart. I know every mom thinks their child is special, but I truly believe that you were a special gift that I was given. I loved you with every fiber of my soul and I know you felt that love and returned it ten fold. I am so thankful that somehow we all knew to live life to the very fullest and be able to look back with no regrets. Goodbye my sweet baby boy, I will always be your mommy and your spirit will continue to live on in everyone that loved you. Being a dad is the greatest job in the world, and nothing in my life has ever been more important to me. In the 2 ½ years that Kevin was with us, I got to be the dad of the silliest, most entertaining, and most inspirational little boy that I’ve ever met. I am so thankful for every moment I got to spend with that little man and how he changed my life for the better. Kevin taught me that even against the worst odds, there is always hope. Never give up. And even if your life story is short, you can still live every day to the fullest. Kevin never realized he was born with a heart that was not meant to work correctly. Sure, he had many doctor visits and checkups and x-rays and he took 3 medicines every morning and night. But to him this was just every day life, and a minor distraction from pulling the wagon around, riding his toy car, watching Baby Einstein, and having dance parties on the fireplace ledge. It didn’t matter to Kevin that his days may be limited – he lived every one to the fullest and with no regrets. He taught me that even if I had yard work to do and a long list of things to get done, none of that was as important as taking a walk or just laying in the hammock together for an hour. There was just something about the way Kevin carried himself that was unique. He had a special way of walking and swinging his arms that looked he was ready to conquer the world. He was so proud of his jumping ability, even though he never once quite made it off the ground. He loved to run down the hallway in his running shoes, yelling “run! run!” and thinking that was just the silliest thing ever. His dance moves are some of the best I’ve ever seen, with his elbow-up-in-the-air move that always entertained. Kevin loved keys – especially my keys. Every night when I got home from work, I would hear him yell “daddy!” as I came up the stairs, but I knew that what he really wanted was to play with my keys. I always made him give me a big hug first and he would pat my back and say “awww” but then immediately focus on the keys. Once he had them he would find the lock button on the remote and push it until he heard the car beep in the garage and he would say “beep!” as if he had done his job. Little boy, I already miss you more than I can even express. I miss watching you sit on the lawnmower for 45 minutes, pretending to drive it and never wanting to get down. I miss taking walks down the street and bike rides around the neighborhood with you yelling “whee!” as we go around corners. I miss reading you books – especially “Goodnight Baby” every night before bed. I miss brushing our teeth together in the morning, and you handing me my razor and saying “daddy?” because you knew it was the one you weren’t allowed to play with. I miss your little quirks that made you who you are, and your passion for everyday things that made you happy. You loved your foam coffee cups for some odd reason, and that made us smile. I miss hearing you say “yeth!” and “more!” and you giving me five. I miss your gentle head lean during hugs and your random puckering of lips, wanting a kiss. I miss the joy and happiness that you brought to our house every single day. At a time like this, it’s natural to wonder how to talk to me and Dawn, what to say and what not to say, and what will bring us comfort. Let me share my feelings. Love your children. Play with them around us and make them giggle. Enjoy them. Seeing kids play reminds us of the good times that we enjoyed with Kevin. Laugh. Although we are grieving, we can’t imagine our life without jokes and laughter. It helps us to relieve stress and have moments of escape which we need so much. Laughing does not mean we don’t miss our boy. It means we are living life how he taught us to. Share your memories with us. Tell us about the things that you loved about Kevin, and special memories that you have. Tell us that he made you smile. If something reminds you of him, tell us. Don’t worry that you will say or do something that will remind us of Kevin and make us upset. We want to be reminded. We want to know that he mattered to people, and that their lives were changed by knowing him. We want to know that he was an important part of your life. We want to know that he will be missed and remembered, and can still bring a smile to peoples’ faces after he has gone. One of my favorite quotes says “Enjoy the little things in life, for one day you may look back and realize they were the big things.” My favorite memories of Kevin are all the little everyday things. Although he was only with us for 2 ½ years, we have so many happy memories and he has changed so many lives. Goodbye little boy. Your daddy misses you, and loves you so, so much. It has blessed my heart this morning, to read your sweet letters to your son, Kevin. Though I did not know him, through your words I can see what a special boy he was. I will keep your words close to my heart as I watch my son continue to grow. Though the trials of raising a teenager can be great, I will remember to make the most of each and every day with him. Thank you for your courage to share your experience. God has given you a beautiful gift in Kevin, and he will live on in the lives of those he touched. And now, I am one of them. I said yes, you can love friends. Then he asked if Nathan, Jeni, Noah, and Lily were our family. I laughed and said no. He still cant believe it since we have slept at your houses. So I thought you would enjoy knowing that Brandon thinks of you all as family, and loves you as such. Here I am at work again checking Kevin’s website. I am happy to see a new entry. I have been thinking about him and you guys on this Friday morning. Your letters to Kevin capture what we all love and remember about Kevin. You describe so much of his personality and the things that made us smile. I have a memory of him screaming and looking around with a big smile as if to say–I dare you to scold me. He certainly knew how loved he was. I am forever stuck with a really bulky key chain and that makes me smile every time I start the car. I will never forget the few times I got to be with Kevin. I felt I already knew him because of all the pictures and stories I’d heard from Jeni and Nathan, but nothing prepared me for the sweetie I would meet. I think I fell in love that day as he sat on my lap and kissed my cheeks and filled the room with the happiest laughter I’d ever heard. His joy really was contagious and I can only imagine how happy he made you guys. I too will take the lessons of Kevin’s life and remember them each day as I deal with the good and the bad of raising a little boy. Already in the last week I think I’ve hugged and kissed him more than I ever have. We will always remember Kevin and he will forever be in our hearts and minds. I send you and all your family my most positive thoughts and prayers for the strength to continue healthy bereavement which honors your son. It is apparent that Kevin’s short life was so very purposeful in teaching how to embrace love, be joyful and genuine, and to show what really is important. Such an enlightened spirit at such young an age! Blessings to you all. Kevin always untied my shoes. It didn’t matter where we were. If my shoes were within his reach he’d look up at me and pull the strings. Then he would give me a smile that made it seem as though it was our little joke. Don’t get me wrong – I knew anybody’s shoe was fair game. The point is that he made it feel as though it was something just between us. That was Kevin’s true gift – he made all of us feel special. I recall listening to Jeni tell me that she thought that she was Kevin’s favorite. I snickered to myself because I knew that I was his favorite. I guarantee, however, that everyone who has ever spent time with Kevin had the same feeling. He could make us all feel as though we were the most important person in the world. I think we can all agree on how very good that made us feel. And that we will miss it terribly. In many ways the world is a poorer place with Kevin’s passing. I feel badly for those who never will have the pleasure of knowing him. On the other Kevin has left me with many memories that I will treasure for the rest of my life. My life is much richer for having known him. I am one of many people that never had the opportunity to meet Kevin. However, thanks to all of the wonderful photos and letters that you have shared, I feel like he will always be a part of my life. Your stories remind me to cherish every moment with my girls and realize that the little things they do are life’s biggest treasures…even if it involves a Sharpie marker! Even though Kevin’s time on Earth was limited, he has touched many lives, including mine. Thank you for sharing your stories. May his memories forever live on in those that loved him! Thank you for writing to little Kevin. You’re family stands in a grief that the rest of us cannot comprehend –at least I can’t. A parent cannot look at another parent who is grieving without feeling real loss. And so I thank you for letting us read Kevin’s letters. They are so tender and joyful –they give words to your grief but also give words to ours. Your love for Kevin shines. I think of Kevin and I see an outrageous smile that his face could barely contain. Perhaps his heart was just as outrageous. Perhaps it wasn’t too weak– maybe his heart just couldn’t be contained in one little body anymore. Mommy Dawn, you write that Kevin will continue to live on in everyone that loved him. How true. Kevin’s heart is now so big and so strong that it helps the rest of us with older, weaker, colder hearts to open up and keep loving our family and friends and children. No parent should have to out live there children, I cannot being to understand how painful your loss is. Looking thru this site makes you realise how much you take for granted being a parent and the simple joys you take for granted. I for one realise how much I do take my own children for granted and it make me feel ashamed how I have been, but not anymore. What I was trying to say through the lump in my throat at the visitation was that I was always impressed by how well-behaved Kevin was. The few times that I was around him, he was so content to just sit on Daddy’s lap during a ball game or sit with Mommy at a party. But this website shows that he was by no means a meek child! He had a mischievous streak just like any two year old! The many stories and videos here pay huge tribute to what wonderful parents you are and the enormous joy your children bring you. What a blessing it is to have this site to honor your sweet boy’s life, and hopefully it is a comfort to you to know that so many people have been touched by him and are thinking of you during this difficult time. Your strength is amazing, and your words have reminded me to enjoy the small things in life. You are all in my thoughts and prayers. I came across your website at work and was moved by your strength, courage and wisdom in your time of grief. You are both extraordinary parents. I’m so sorry for your tender loss. Kevin came into this world to teach us love and compassion for everyone. I Thank you for sharing your story. How very much your words have helped me. My wife was recently diagnosed with Alzheimer’s disease. Your reminder through Kevin of what’s important has caused my heart to settle down. I am so sorry for your grief and so grateful for your sharing. I never had the opportunity to meet you or your beautiful son. Jeni Tacket has asked me to pray for him this last time he was so ill. And she shared a bit about him with me. and she has provided me your web site as well. What a beautiful young man God allowed you to have. Even for such a short time. While he was here he obvioulsy taught you much about living life and loving. What an awesome gift God gave you in that little boy. You were totally blessed. In keeping his memory and what he taught you alive, and sharing with all of us you are blessing everyone who did not know him. My daughter is grown, and I still show her as much love as I can. Life is always too short, and we are never promised tomorrow, so to love and live each day to the fullest is so important. Thank you for allowing me to know you and your wonderful little boy through this way. I pray God’s special annointing on every word written here and that He continue to strengthen you both and bless you abundantly. I can’t even imagine what you are feeling and going through. I’m very sorry to hear about your loss. I am so sorry! I don’t even know you guys and reading about Kevin has really touched my heart and made me teary. He sounds like such a happy and wonderful kid. I am so sorry for your loss. I am a parent and have tqo wonderfull boys. I know how I would feel if I lost them. No parent should EVER have to bury their children. God may have a plan but I sure wish we understood it better. I am so sorry for your loss. I am a father too and i can understand the emotions/feelings that you are going through. I wish I had something perfect to say – but I just don’t. I love you and I pray for you. Kevin is just fine right now. I know that doesnt’ stop you from missing him, from wishing you could see him right now – but I pray that you understand he’s doing just fine. If there’s anything I can do, please let me know. Puisse le Seigneur le recevoir auprès de lui. I was one of the flight nurses on that morning, and remember Kevin from when he was a baby and had his surgery. Right away when we were called out and I heard his name I remembered all of you. You are such a wonderful family and were so easy and great to take care of in the PICU when he was first born. I cannot express how sorry I am that you lost your beautiful son, he fought so hard and to this day I wish there would have been something else we could have done. You are all in my thoughts and prayers. I have a 2 1/2 year old boy Pavlos and I know what is to be a father. I am very sorry for Kevin. We share your pains. Kevin was an angel here and now is an angel at the God’s side. Be all in peace, keeping your infinite love to him. I came by your site looking for the old calendar of all things and followed your link to your son. I have never meet you but, as I read your letters I felt much sorrow for your loss and couldn’t imagine having to go thru all you have. I am glad you have had the opportunity to love so deeply and appreciate all the little things. I also have small children and your right it’s the little things that are the big things. You are very much in my prayers. God Bless You. I cried my eyes out while reading about your lost. where we can meet the ones that we love and have lost. I came to your site some time ago, and now see this sad event. I am also a father. I don’t know you, but all my heart is with you in this moment. And all for sure, God is with your little boy and with you. While I will never know the loss you are going through, their is a growing philosophy in many circles that we choose the lessons in our physical existence before birth. If this is true, then his short path and great calling have been answered by the love he has shared with everyone he touched. Your love keeps his spirit alive; and your memories keep you mindful of each precious moment we share together. Honor his love with your own. I happened upon a familiar looking file called CalendarPopup.js on a work server and opened it to investigate. This led me to your site, which led me to this post. I am truly sorry to hear about your son. Having lost my brother (who is my best friend) in 2005, I know the gut wrenching pain that is felt. The unanswerable question “Why?”. And the ache that fills your thoughts as you come to realize that you would truly give anything for one last moment. Grieve a lot, remember a lot, and love each other any extra moment you get. My wife is the only thing that kept me intact through that time. I have been visiting Kevin’s Blog on and off for a little over a year now. My boyfriend works with Matt, and he told me about the site one day. Our daughter was born 11 days after Kevin, so I liked to read about him and I enjoyed the fact that we have shared many milestones together. I’ve never posted anything on the site before because I didn’t know your family personally, but I feel the need to finally speak out. I want you to know that Kevin has touched my heart, and even though I never met him, I feel like I knew him. There have been so many times while reading about one of his adventures or little quirks I found myself laughing along and nodding my head up and down thinking how Shaylee does the exact same thing, (and maybe deep inside feeling a little relieved that she wasn’t the only one who had to sleep in her shoes, or who attacked innocent objects with Sharpie markers). I want to thank you both for sharing Kevin with us, and for teaching us all to stop, and slow down, and not take all those little moments for granted. I think everyone has been holding their children a little tighter and actually taking the time to listen to what each other has to say. I would have posted this sooner, but each time I read it, it just didn’t seem to be quite right. I’ve realized it’s because I wanted so much to help ease your pain, but knew that nothing I said could erase the hurt. As a mother myself, often times it’s my job to help heal hurts, and knowing I cant do that is a difficult realization. Thank you again for sharing your sweet boy with the world. He will be remembered always. If you need anything, or just want someone to talk to, I’m here. Your courage, strength, insight, and love are untouchable by words; the tears & smiles from what you’ve said are pure inspiration. Im sorry for your lose yet know you both trully gained more than ever lost. Your painful loss is a reminder to us all, to treasure every living moment we have with the ones we love and care about. May you find comfort through this difficult time. Sincere condolences to you both. God bless you all for so openly expressing your thoughts and feelings and touching many of us who read it. I’m very sorry for you and your wife. I very like your work and I was very sad to discover what’s happened to your son. I lost my father two years ago and I like to think that he lives on within my thoughts…. I am so sorry for your loss! I pray for God to give you strength to hold on and live on. I stumbled upon your site looking for information and I also discovered there are human souls behind all this. To honor you and your lost son, and because we owe it to ourselves we should take your advice and live every moment like it is t he most important. Thank you for the information and for the good lesson for life. I visited your site many months ago and was grateful to use the tools you so kindly put together. Today I was very saddened to see that generous and well-meaning people such as yourselves are coping with such loss. I am a father and I shudder at the thought of what you are going through. I am very sorry. May your family receive great joys in the future. I am so so sorry to hear of your loss. I can not imagine. I am really to hearing about your loss. The sweet boy will be in our memories as long. Reading your letters to your son Kevin actually brought tears to my eyes, which is not something that happens easily. I have 2 boys aged 8 and 6 resp. and as a result can so appreciate and understand the terrible and painful experience that Kevin’s passing must have been. 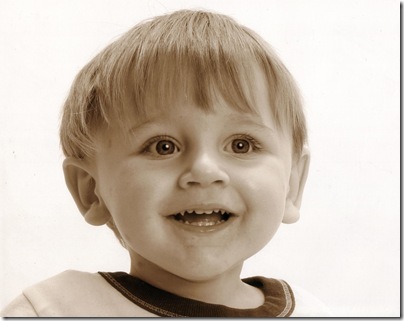 He looks like he was (and will continue to be in your memories) a wonderful cheerful little boy. I am so grateful to God that I learned the lesson early in my boys lives that time with them, and being their dad is something to be cherished. We just never know how much time we have. May God comfort and bless you as you come to terms with this loss. My heart truly goes out to you. I visited your site a few times now and am real gratehful with the wonderful tools you kindly donated. Today this has lead me to the site of your little boy and I got tears in my eyes reading the letters. I am a father of 2 daughters and can’t imagine the pain you are going thru. As my eyes teared up reading the account of your son, I just want you to know that I have a son and a daughter who I love dearly and can only imagine what you have gone through. I was sincerely touched by what you have gone through. Thank you for sharing this incredibly difficult part of your lives and reminding everyone of the fragility of life and what is truly important in our world. My heart breaks for you guys. God carry you in this time. So sorry for your unimaginable loss. As a father of two young boys my heart breaks at the thought of the loss you have suffered. As I type this with tears running down my face I thank you for sharing this with me and hope that in time you are able to come to terms with this tragedy. Thank you for reminding me of what truely matters most. I hope that in time you are able to come to terms with this tragedy. I am so sorry for the loss of your beautiful child. One can tell from that picture that he melted your hearts. May God give you peace and strength. I am truly sorry for your loss.Shows how much we can learn from children. Although we have never met, I wanted to tell you you are in my thoughts and prayers daily. I have 3 children: 2 boys (ages 6 and 4) and a little girl about a month older than Kevin. I am a teacher in Bettendorf and my 3 children went to their Grandma Jan’s house (my mother) everyday for day care. She had retired from her job when my first child was born to watch him and enjoyed every moment with him. She was so excited when I had 2 more children as she was what I would call “baby crazy.” She was an only child growing up and always wanted brothers or sisters. After she wed, she had 5 children: 4 boys me. (1 girl) Her whole world revolved around her children and grandchildren. She suffered a bout with cancer 5 years ago, but through numurous surgeries survived this horrible illness and looked at every day as a gift and lived life to its fullest. On the weekends when she didn’t have my children she would call every day and tell me how much she missed “her kids” meaning her grandkids. On April 2, 2008 she passed away unexpectedly from a heart attack, exactly one month before Kevin. I know this may sound silly, but I believe in my heart that God’s plan was to receive my mother into heaven because God knew that your little Kevin was going to need a loving grandmother figure in heaven to welcome him and nurture him with open arms. I am sure my mother is watching over him as if he were her own. I will continue to pray for you and your family,as I know as reality sets in it doesn’t get any easier. I can tell from your words and videos that even though Kevin’s life was short he lived a full life. He was and will forever be an angel! I am truly sorry to hear about your loss. I would have posted this sooner, but I had not been the new JS site until today. I hope you and the wife are doing as well as can be expected. We try and make sense of why these things happen? But there is no sense, just the pain of loss. Can a stranger understand what you’ve both gone through? I doubt it! Your letters brought home how it is the little unimportant things we miss so much when they are no longer there! Just visited your woderful site after a little time away from web stuff, I had no idea of your, what must have been, constant heartache. I think we all forget in our busy lives that someone out there who freely gives of their time to help others may have a real life off line. My heart goes out to you both, may your God continue to walk with you. I am so sorry for your loss. Hoping you find peace and strength to bear it. My prayers go out to you. As a father I can feel that how deep is your sorrow. Losing a child. It must be the most painfull experience in the world. I’m so sorry for your loss. I was moved to tears when I read this.I can’t express my feelings towards your loss. I have 3.5 year old son , but due to work pressure I come very late to home and never was able to play with him. I now understand nothing is great in this world than being with your loved ones. I’m very sorry for your loss. I can’t imagine the pain. How sad. I pray that the Lord would comfort you during this time. Matt, I use some of your libraries and my heart completely sank when I saw the picture & caption of your little boy on your JS Toolbox site. Many sympathies and prayers to you and your family. More then a month ago I found out about the loss of your son and little brother and while shocked I didn’t know anything to say. I guess that having a son myself I tend not to want to go towards the feeling of grief or anything like that when it involves a child. I think loosing your child is much more difficult then loosing a parent. I have been in the unfortunate position of loosing several people very dear to me in the past. Looking back I can only conclude it made me an emotionally stronger person and made me ‘seize the day’ more often. I hope this will happen to you three as well. of your loss. I extend my condolences to you and your family. I feel deeply sorry for your lost. My sincere thoughts and condolences to you and your family. Please take care of your wife. God in his great mercies will replenish your loss and provide you profound hapiness. I’m very sorry for all your pain. But I’m sure now Kevin it’s ok.
gives a lot but sometimes takes a lot. Siento tu perdida amigo, desde chile un gran abrazo y harta fuerza..
–> Hello, I usually visit you website. I sorry for your pain. We Indians pin our faith in rebirth as long as we have hope. I guess that takes away our despair. Sorry, I could not resist posting a comment. May God bless us all with a happier time. My wife and I also lost a son at 18 months. you hit it on the head with your advice to talk your friends to talk about Kevin, laugh like your son and to talk about the things you remember about him. For your friends and associates, the hardest part of losing a child is that somehow they will be forgotten. Remember Matt and his wifes son and talk with them about him. FYI It eventually gets easier to handle. My heart breaks for you, but assured that with alot of time and support you can live your lives again. Buscando tú CalendarPopup.js, encuentro esta noticia. Te deseo que tú dolor disminuya e intentes mirar hacia adelante, como seguro lo hacia tú hijo. Searching CalendarPopup.js you, I find this news. We wish you reduce pain and try to look ahead, as sure as you towards child. All the enthusiasm i had this morning for coding one application just disappeared. No more coding today even though time is 10:12 am. I think I’m going to call now my little angel (4½ years old daughter which lives in another city with her mom) and try to enjoy those little things which might some day be the big things. It touched me really deep inside and made me think more what to do with my angel when I meet her. I only meet her 4 days in a month. Strength to you both to overcome all the sorrow. You had done some work for Yamaha Salesforce implementation and I was just checking your website for updates. I saw your post about your son. I’m sorry about that. Take care. I feel sorry for your kid. I dont know you or your kid but after reading story, i feel why God do this to good people. But I appreciate the courage you have. Lets be strong & fight. I can only IMAGINE what you two are going through, I wish I will never KNOW. Browsing for code I came through the site and found my self wondering what on earth am I doing, programming games, instead of spending more time with my little children (Tom & May). As I read more and more, including the letters you recieved from other people I found out that your loss gave a lot of good people things to think about, and will make a lot of children lives better and happier. I only wish you both will know nothing but joy in life, moving on with making new happy memories while treasuring the ones this little special sweet and lucky child gave you and even us. Kevin will be in my heart, remembered and reminding me the true meaning of life. I Thank you for everything. anything about your family until I visited your site yesterday and saw the image of Kevin’s beautiful smiling face. I can only pray that the pain you feel now lessens and that God brings peace to you and your family. Reading your letters brought a pain in my heart, and I’m truly sorry for you and your wife. It makes us all realize that the gift of life is more valuable than what we take it for and we should spend the best of it with our loved ones. I’m sorry for your loss, and thank you for sharing your story. Your son and family will be in my prayers. Dawn and Matt, I’m a friend of Jeni’s (we are friends through her sister, Janelle). I don’t know where you’re at today in the waves of grief that come and go, but I just wanted to let you know I’m thinking about you, your precious daughter and your precious Kevin. I never had the fortunate opportunity to meet any of you, but Kevin’s life and your ongoing story has changed my life for the better. My heart goes out to you for your loss. I’m a parent and I can’t imagine the heartache of losing a child. I wish you both the best, and I hope that time will heal the hurt you must feel. Please accept my condolences. I am crying for you, with you. omg! I haven’t been to your site for a while and I couldn’t believe what I saw. I am so very sorry to hear your loss, Matt. We lost our beautiful girl years before and it was so hard going thru that. Still, I could only imagine what you and yours are going through. Even though we’re strangers, I wish I can give both of you a hug. Instead, I feel you’re giving me and the world a hug by showing us your beautiful son and all the joy he brought to you and your wife. That’s how I remember my girl, holding her, touching her, kissing her and the joy she brought to us. Even at times of loss, we all gain thru love and experiences. It is with tears in my eyes that I read about the love ‘Heaven is so real!’ by Choo Thomas, it’s heavy spiritual but it will bless your socks off !! One day you WILL see your son again ! I’m truly sorry for your loss! As so many have already said, I too am a parent (of a boy and a girl), and I have no greater fear than to endure what you have gone through with the loss of your son. I hope you will quickly find peace. I was shocked by the sad news of your little boy Kevin. Your letters tell the tale of love, courage and the treasure of life. Your little boy has touched my life. He is and will be with you. My prayers are with your family. With tears knowing no bounds while reading about Kevin, I feel he is so blessed and had enjoyed the most wonderful parents any child would ever dream of. He will definitely live in the memories and prayers of his near and dear every single day…I would personally never forget Kevin, having just known him for few hours now. He is so divine and adorable. I really pray and wish you a blissful life going forward. Words can’t express my sadness at your loss. Like many, I came across your site while working on some jaavscript, and found your calendar pop-up very handy. My heart goes out to both of you. I hvae a son (Forrest IV) who is only a few days older than Kevin….and my 5 year old daughter Suzanne was born with a heart condition as well. In our case, something correctible, but I know what those weeks in the hospital or recovering from surgeries can be like. I wish I could do smoething to ease your pain, but I know that all I can do is offer my condolances…and if either of you need to bend an ear, please don’t hesitate to give me a shout…. I’m sure that Kevin is in a good place….and looks in on you often..
Just wanted to say, thanks for the great work on the Calendar script. I am deeply sorry about your recent loss. He will always be your little Boy. I am sure his stay here with us was one filled with joy and happiness. Bless you… and Bless your family… Your opened-ness, kindness and generousity will forever remembered and rewarded in countless ways unknown. Kevin is angel cute … unfortunately so cute that God decided that he belongs to heaven. As for Kevin’s family I find no words to comfort you … the only thing I can think of now is just read the writings and share your sorrow. Your story has touched me very much! I appreciate you sharing this with us all. I am a father of a little boy that is the same age as Kevin and sometimes people tell me I am overzealous in my parenting. I just think these people forgot or don’t know/understand that you can never show to much love or concern for your child. That sometimes you never get that second chance. My son’s mother and I do not live together and I move mountains trying to spend time with my son. I just want you to know that i am inspired by your family and thank you for sharing. I actually want a child more than ever after reading from your memories of Kevin. The wonderful thing is that he’s brought so much joy to the world, that it’s not gone even now that he’s not with us. I know you’ll be able to share that with your next child. Thanks. Thanks so much for sharing your son with us. You and your wife are in my thoughts and prayers. GOD BLESS YOU KEVIN ! I feel deeply sorry for your loss. My sincere thoughts and condolences to you and your family. I have visited your web site quite a qhile for table sort script and find it very useful. Thanks a lot. I am so sorry. It really touched my heart. Hang on. God bless. I was shocked to read about your son. I know nothing I say could change anything but I just felt I had to say something. Your letters carry an incredibly powerful message that helps us realize how fragile our existence can sometimes be, and how we should grasp every moment passing. I offer my deepest condolences. I was deeply saddened and surprised to see the loss of your beautiful boy. My heart breaks for you and your family for your loss. There is nothing like losing a loved one especially a child. I can’t begin to imagine how you feel. I pray for you and your family’s strength and support during this difficult time. I have no faith to help, I just hope that you can find whatever you need to keep each other close. I’am sorry about your loss! I hope that in the future you will see to the horizon and smile again. i’m a programmer like you, i’m a father like you, i’m near you. This morning I wake up and tried to find something about ajax and I found your website and this site as well. I’m so sorry to know about your loss. Your son is so cute. You must be very sad. God will bless him and your family. I have been visiting your site on and off and very much saddened by your loss. I am a father of a 4 year old son and can appreciate how special Kevin is to you. I use your document tree on my site and thank you for your help. I seen your code in use. One of your .js files.. I seen your ‘On may 2nd’.. I sat there for a moment.. The heart ache.. The pain.. The sorrow..
and to think.. You are still able to going with your life. I am only 18 years old. I see how much I really do take my life for granted. I see a little boy like Kevin.. I see how he could have been A fire fighter. A great professor or maybe A cop. Possibly A coder like his Daddy. Your son looks over you. Every day of your life, from heaven. Know if you have Jesus as your lord and saver you will see him again in heaven where he won’t have a heart problem and will be a happy boy. playing and running with lots of laughs just like before he left. Great sorry to you and your family. Hola Matt, he leído la historia sobre la vida de tu hijo Kevin. Quiero que sepas que lamento mucho la muerte de Kevin. Yo también soy papá y sé del profundo amor que tenemos hacia nuestros hijos. Espero que Dios los ayude mucho y que los buenos recuerdos de Kevin llenen de amor y alegría sus vidas, a pesar de que él (Kevin) ya no está. I sincerely Pray that KEVIN is taken care of the Almighty and is given the next life with full life. I am sorry for your loss and may the God give you the strength to tide over the loss. (I understand that it is impossible). May Kevin’s soul rest in peace and arrive here with a full life in the next cycle. my baby girl birthed last month is ill with heart disease,i don’t know what can i do . Made a big typo in my post to you. I meant to say “Your letters are filled with pride (not price). As a long time user of your script, and the father of a small child as well, you have by deepest regards, respect and sympathies. I cannot even begin to consider how this must have hurt. Let us know what we can do, if there is some charity we can donate to to help other kids like yours. I dont know you, but over the years i have used ur scripts. Today while looking for another one i reached ur blog and found about kevin. God Bless his soul…i feel ur pain..being a father myself . I dont know why but its so intense that i am sobbing and as tears roll down I pray may God give you both strength , courage and happiness. Wow… Having lost 3 persons that were close to me this year I can’t even begin to imagine the pain of losing a son. I’m a Father of 3 and, to be honest, I can’t even think about losing one of them. I learned long ago that things happen at times that can’t quite be explained and, as time goes on, a reason becomes clear. I hope your “reason” is as noble, pure and beautiful as your child. Keep strong and true, learn as much as you can, and remember that that Angel you have in heaven will never leave your side and will always send love your way. I was just looking for some code and came across your site, and was immediately moved by Kevin’s picture and story. Thank you for sharing your story and your grief with us. Since becoming a father of a little boy myself four years ago I feel like I finally understand what it is to love unconditionally. May God send peace to you in your time of sorrow. I am so sorry for your loss. I don’t know you or Kevin but I can tell just by looking at him that he was such a sweet and beautiful little boy, and that you were wonderful parents to him. I am not a mom but I can’t imagine the pain you must be going through right now. My Aunt and Uncle lost their 4-year-old son to cancer in the late ’70’s but I wasn’t born then so I never got to know him. God bless you both and my prayers are with you. I’m sure God has saved Kevin a very special place in Heaven and that he’s playing and laughing with the other little angels. May God keep and comfort you and your family. My heart and prayers go out to you and for you. I don’t know of anything harder than to lose a child. Sorry for your loss. I’m moved by your use of the web to memorialize Kevin Mathew. It must be a tremendous burden to bear. I have read this page and find your expressions to be full of courage and love. I am with Faizal(above) on this, I find tears are running down my face as I write you. Deeply moving. Please accept my most heartfelt condolences and prayers for peace for you both. Hello, I was studying the code that my programmers used to build my site, and saw they used on of yours. I then took a loo around and found this page. I am so sorry for your loss. I am a mother to 3 and I can not say another other than I am truly sorry! Thanks so much for sharing your feelings about your son. This is a beautiful tribute. I have 4 sons, and I can only imagine what pains you have experienced. But it’s wonderful to see that you are choosing to remember and rejoice in the precious time you had with him. I know there’s a heaven, and I know you’ll see him again. I lost my Daughter, Bridget, 40 years ago. I have been in that terrible place where you have been. God Bless You and Keep You, Both. I have 2-year-old. I can’t help crying when I see your letters to little Kevin. I lost my father last year. I know how hard it is to get through the days when your beloved family member left for heaven. I don’t even have the courage to see the previous posts about Kevin’s story because I know I will cry my heart out. My deep condolences for your loss. I am really saddened by your loss. I have a 2 year daughter who drives us insane but I cannot even fathom what life would be without her. The only thing I can offer is my deepest condolences. que pena que hayas perdido a tu hijo. yo tengo uno de 1 año y medio y lo amo. espero que no olvides nunca a tu hermoso hijo, de seguro el te reconocerá y pordán amarse lo que en este mundo no se pudo. pasciencia y animo, él ahora es un angel. I am so sorry for your loss,life sometimes are so hard to control.I just wish you to be stronger. God bless you and your family! Matt, I just came to your website looking for some code and saw this. I’m speechless, I have 3 kids, one of the same age as Kevin, and I really can’t think how could be life without them. I’m sure you and Kevin enjoyed the time you had together, keep those moments in your heart as I’m sure Kevin does. I’m sure in the future you will see each other again. I just don’t know what to say… my deep condolences for your loss. I am deeply saddened by your loss. Kevin wil forever be in your hearts and thoughts. I know that you both will always be in my prayers. Kevin was a lucky boy to have had such wonderful parents. May all that is good be with you. I am praying for you as Kevin’s birthday is around the corner on the 7th of November. I hold you all close to my heart. your uncle Juny and I lost a little girl at the age of 7 many years ago she was our 2nd daughter a beautiful red headed sweetheart its been along time but my heart still hurts when i think of her I don’t even have a good picture of her .the one I had was black & white and I Took it to a photographer to have it oil painted and she spoiled it so i never brought it home I’m so glad you have good pictures of your little one. we can’t always understand why but maybe it makes us better people when we have to grieve love to you and yours !! I was very sorry to see about your beautiful boy. It’s great that you have some really nice photos. My two children were born with heart defects, one required surgery. Today, both are healed. My daughter is soon to be 13, my son 9. I am so thankful to have them. I played the Sarah McLachlan song over an over as I read this page/blog with tears running down my face.